If you have voted for a new parliament in Afghanistan, or are a U.S. citizen planning to cast your ballot November 8, pause — and consider the contrasts. These came to mind at a briefing by the U.S. Agency for Global Media (USAGM), which surveys its audiences and shares results. A woman displays her voter registration card after voting at a polling center in Kandahar City. Photo by Canada in Afghanistan, Flickr. In Afghanistan, half of eligible voters braved long queues to often late-opening polling stations and yes, risked their lives to vote. Of those eligible, well more than four million of 8.5 million cast ballots for a 249-member parliament on October 20 and 27. In the United States, there are 240 million registered voters. Turnout is expected to be higher than usual for a midterm election. National Public Radio has even predicted that the turnout could be the highest in a half century. Since 1960, average participation has been in the 40 percent range or less. Some see this as a litmus test of President Trump’s leadership after nearly two years in office. 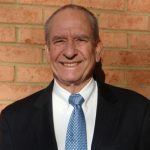 Others see it as a rich rainbow of indicators reflecting voter sentiment on issues such as health care, immigration, trade policies, national security, and even local discourse on issues at state and municipal levels. At stake: U.S. Senate and House of Representative seats, state governorships and hundreds of state and local offices. More than 50 Afghan civilians and security forces were killed in Taliban attacks across the nation on the October 20th election day. According to Washington Post correspondent Pamela Constable, ten candidates for office had been killed even before voters cast their ballots. Voting in Kandahar and Ghazni provinces were cancelled for a week because the government deemed the voting places too dangerous. Yet in Ghazni, because of continuing security risks, voting was again postponed until next year, likely until a scheduled presidential election next April. 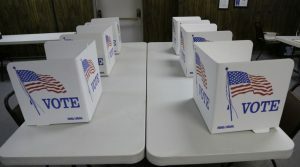 Voting booths await voters in Red Oak, Iowa. Photo from VOA. In Afghanistan, What Lies Ahead? On October 24, I witnessed a Deep Dive round-table discussion at the USAGM, formerly known as the Broadcasting Board of Governors. That session, held four days after the first round of Afghan voting, explored options ahead for that beleaguered country. Mario Crifo, a spokesman for the U. S. Embassy in Kabul, joined the forum via TV from the Afghan capital city. In his view, the international community and U.S. once again aided the Afghan government in preparing for the election, but the Afghans themselves on election day assumed much more of the burden than at any time since 2001. Ali Akbar Ayazi, director of VOA’s South and Central Asia Division, noted that a majority of voters participated in the October 20 polling, and that Afghans are looking to the April 2019 presidential polling to be even more significant. U.S.-funded broadcast language services heard there (Pashto, Dari, and Deewa to Pakistan’s border with Afghanistan provide in-depth, multimedia vital information on both lead-up campaigning and election days), as well as Radio Free Europe/Radio Liberty’s Afghanistan-targeted Radio and TV language service, Azadi. Afghan women in Kabul proudly show their blue fingers as evidence of their vote in the 2010 Parliamentary Elections. Photo by USAID Afghanistan. In Mr. Ayazi’s view: “The presidential election next April will be key… the Afghan masses want to know what lies ahead. If the U.S. leaves,” he added, “what about the role of China and Pakistan in the future of Afghanistan?” (In this year’s disrupted but encouraging October Afghanistan elections, individual candidates ran — as has traditionally been the case there — without official political party identification. Coalitions then form post-election from among those chosen). Panel members all appealed for increased coverage of all aspects of Afghan life as a key to the future. Katherine Brown, president and CEO of Global Ties and its foundation, America’s largest and oldest citizen diplomacy network, noted that on scene coverage by both the New York Times and Washington Post lately have expanded well beyond elections and violence.